This isn't one of those posts all about what I got for Christmas. 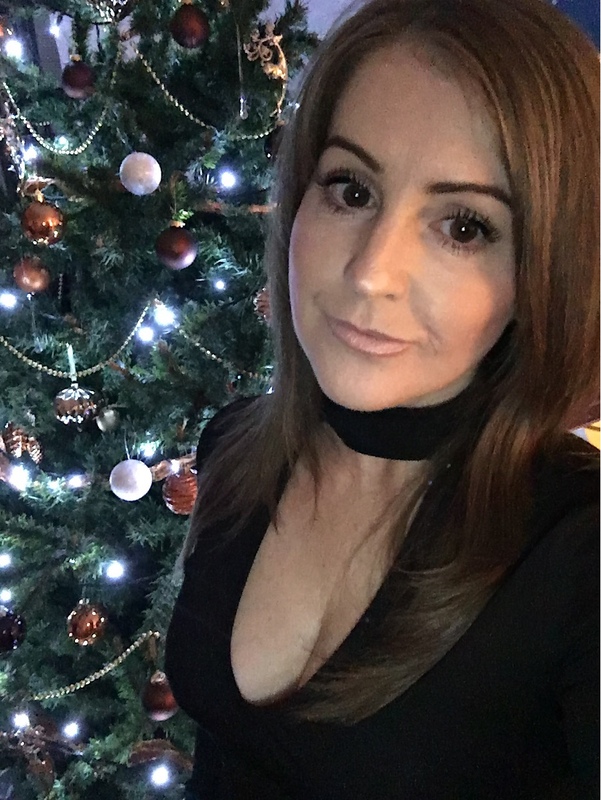 It's just a quick look at our celebrations for Christmas and New Year, what we got up to with pics from snapchat (stephaniec41), Insta and my camera, and all I can say is that it involved waaayyy too much food and drink. Mainly drink! 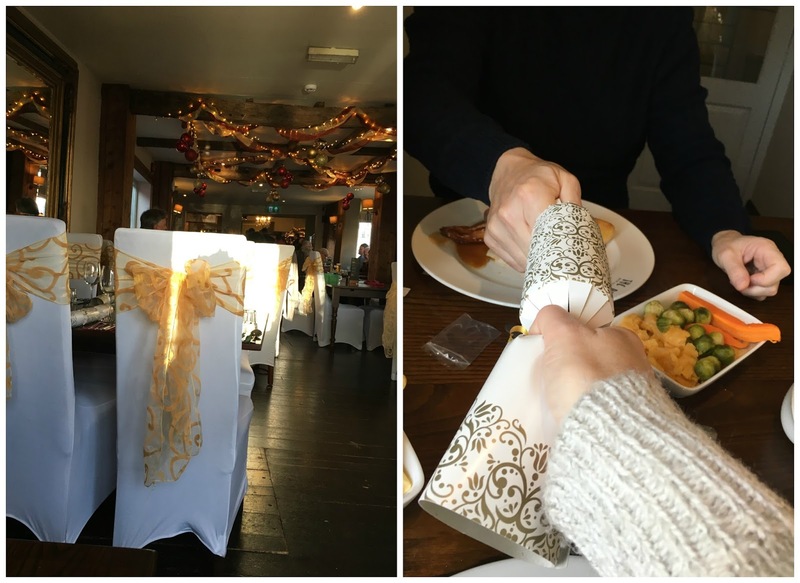 The opening picture is one that was taken when we went on our annual pre Christmas lunch out with our best friends Sarah and John. Mr C snapped this and I really like it. Just me being all chilled. My smaller tree in the kitchen/dining room is black with crystal, glass and silver decorations. 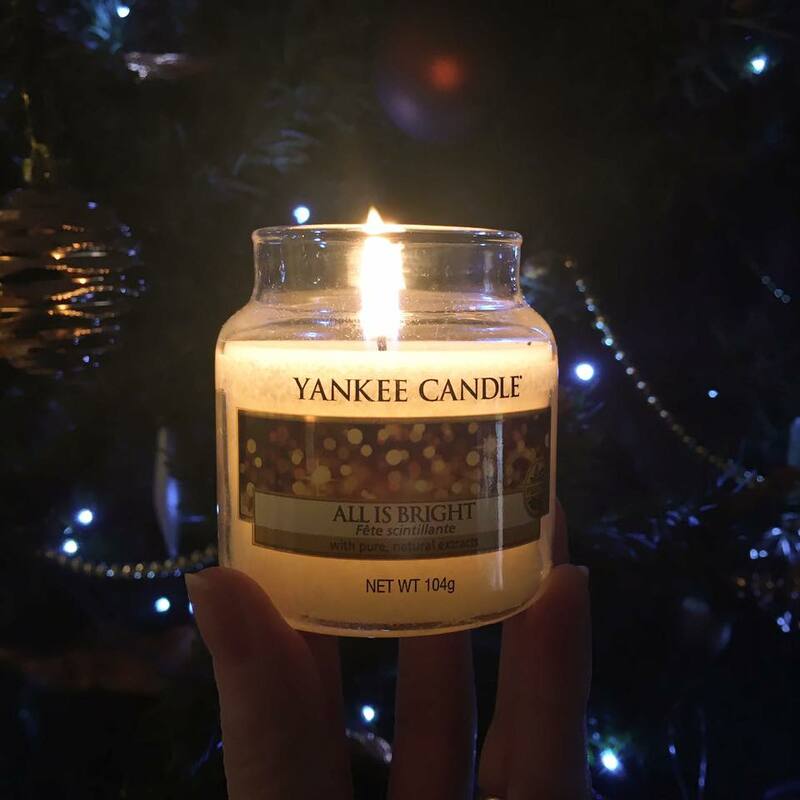 As soon as the trees were up, the Christmas candles came out! A snap from our annual lunch with Sarah and John. It's such a lovely afternoon, we go to a local pub, it was the Bluebell Inn this time, and it's so festive, we catch up, swop pressies, drink plenty, act silly (we're all as bad as each other on the silliness front & it usually get worse after said drinking!) and generally get excited about all things Christmas. 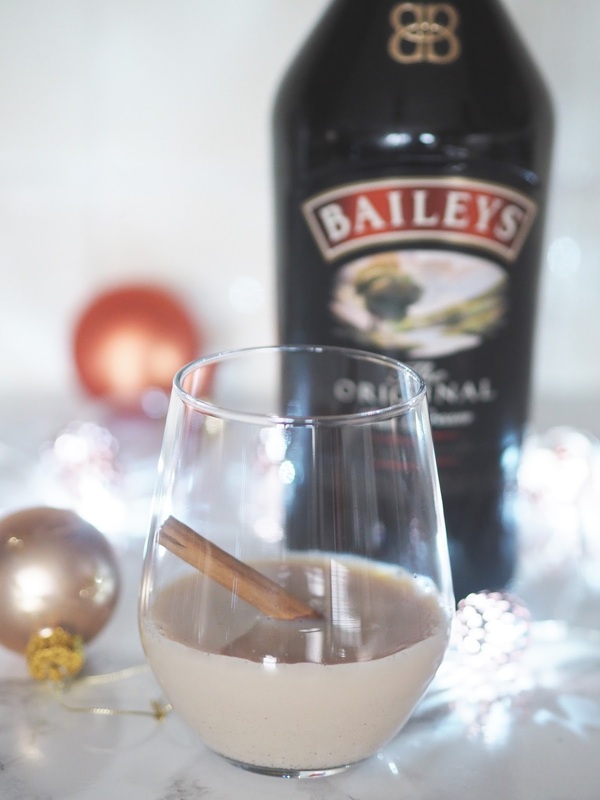 We made and drank eggnog for the first time, although not just any old eggnog, Baileys Eggnog. And loved it. I had another night out on the town partying with friends whilst Mr C was our taxi. Bless him. In the run up to the big day we put away copious amounts of prosecco. What? Festive season and all that jazz! 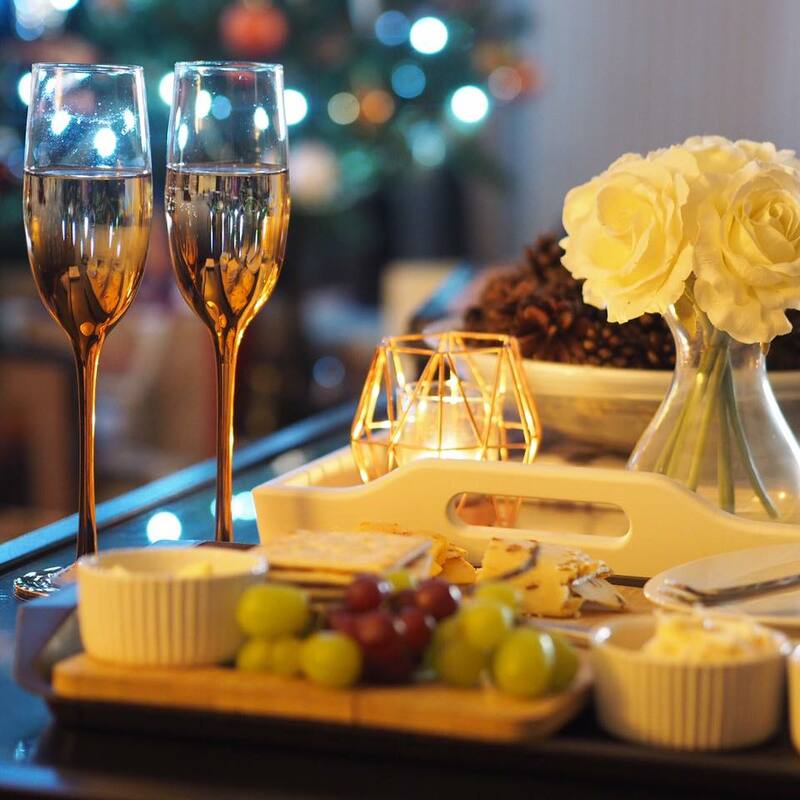 Do you love my copper dipped flutes? If you follow me on Insta or snapchat (stephaniec41), you'll know the story behind them and they are just beautiful and from Asda of all places. I know! BTW - if you don't follow me on Insta or snapchat, you know you should. 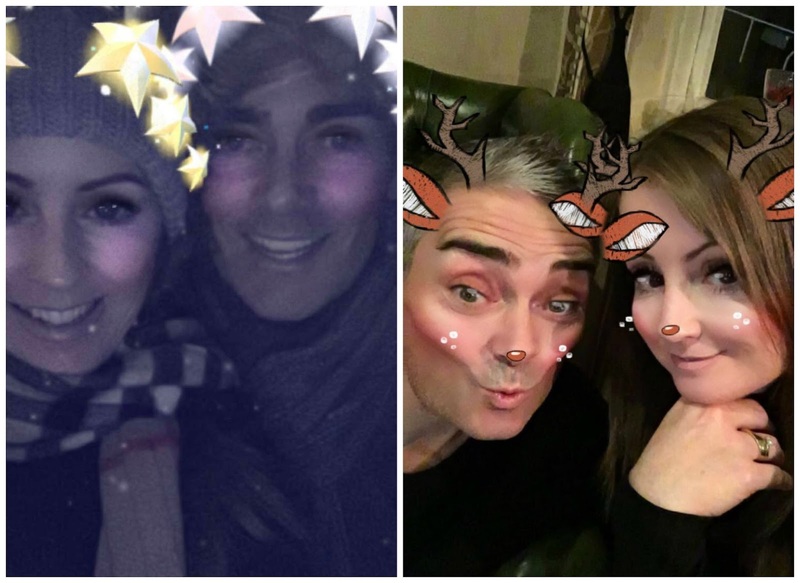 Christmas Eve we strolled to the local pub as we always do and met up with our other best friends, Sarah and Mike to get all silly and excited again, many 10 second vids appeared on snapchat that night. Christmas morning we opened our gifts whilst face timing Emily in France. We missed her terribly and are still missing her like mad as she's away till the end of April. These are my favourite gifts from Mr C and the kids. Aren't they the best?! Mr C and the kids that is. THE day was spent at my parents with Mr C playing the cocktail master. We drank lots of Baileys martinis and then on to white Russians. Hic. With lots of prosecco in between. Hic. 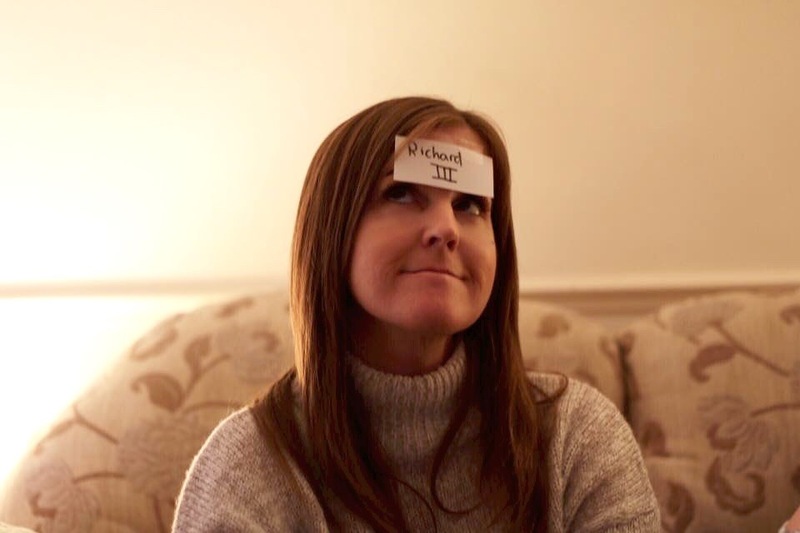 We played that damn frustrating game of 'Who am I?' and yes I got there in the end. My 11 year old nephew stuck the post-its on our heads and came up with the people and he gave us some real corkers too, Adolf Hitler, Vincent Van Gogh and Donald Trump, well done Adam! Boxing day saw our son Tom disappear off with his girlfriends family to Suffolk for a few days so Mr C and I went out for lunch, yes we can ALWAYS manage another turkey dinner on Boxing day. Can't you? And by tea time we were ready for cheese and biscuits. Don't judge. Now after Boxing day I don't have much to report as we were both struck down with a cold (thanks Tom) and spent most of our time comatose on the sofa. It didn't affect our appetite and we happily carried on eating our own body weight in cheese and any chocolates or snacks we could find, going on the theory that you have to feed a cold. We were most unhappy as we had planned all sorts, meeting my aunty and cousins, and talking lots of walks, but we just didn't have the energy. So we'll jump straight to New Years Eve. 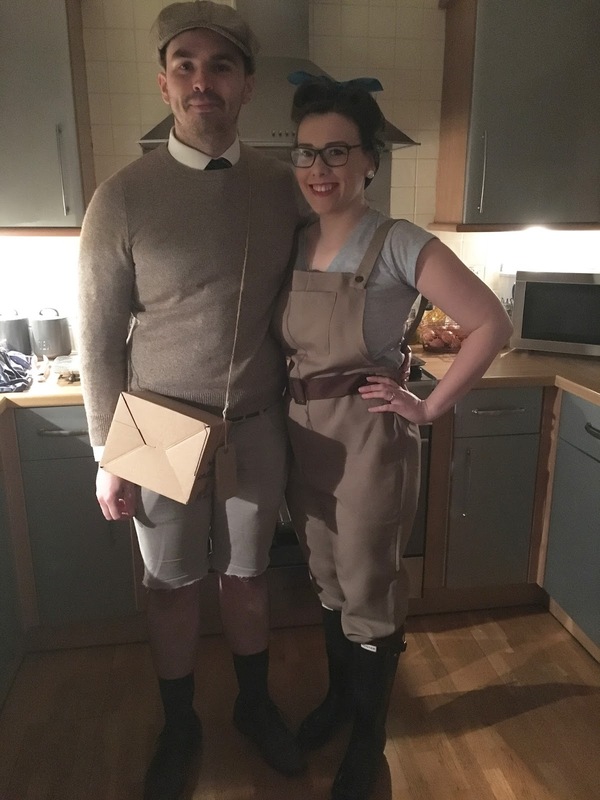 We had planned our usual NYE fancy dress party although arranged at extremely short notice and the theme was Through the Decades, which we felt would be the easiest to do given the lack of time. Normally we have more time to plan and put more thought in but everyone made a great effort. My gorgeous cousin and her husband Gary, land girl and her little refugee. 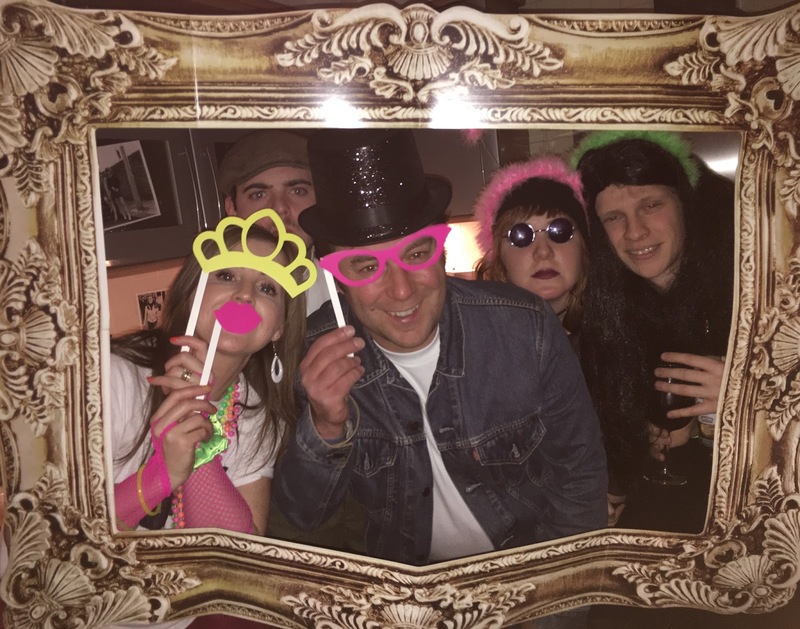 The party was a great success and another load of memories banked. Cleaning up took Mr C and I until early afternoon and then we flaked on the sofa until it was time for our New Years Day tradition. We always crack open our favourite champagne to celebrate the start of a new year and the adventures, love and laughter that lay ahead. We had a blast and I hope you all had a truly magical Christmas and New year. Sounds like you had a fab Christmas and New Year! Shame you were both ill. It's a great time of year, isn't it. You look like you had a super time! I love those copper dipped flutes. I have the same stag decorations and adore them. In fact, your colour scheme sounds very similar to my tree. Sounds fabulous Steph! Please tell me what was Mr C dressed up as hahaha! Lovely pics hun! You need to give me some lessons! Hope you're both feeling better! I LOVE LOVE LOVE that picture of you! As you say, you're chilled and it's don't forced. Beautiful!